* is there no way to hold JAG or someone else responsible for what appears to be a purposeful withholding of information related to the FBI’s bogus investigation of the 2001 anthrax attacks? 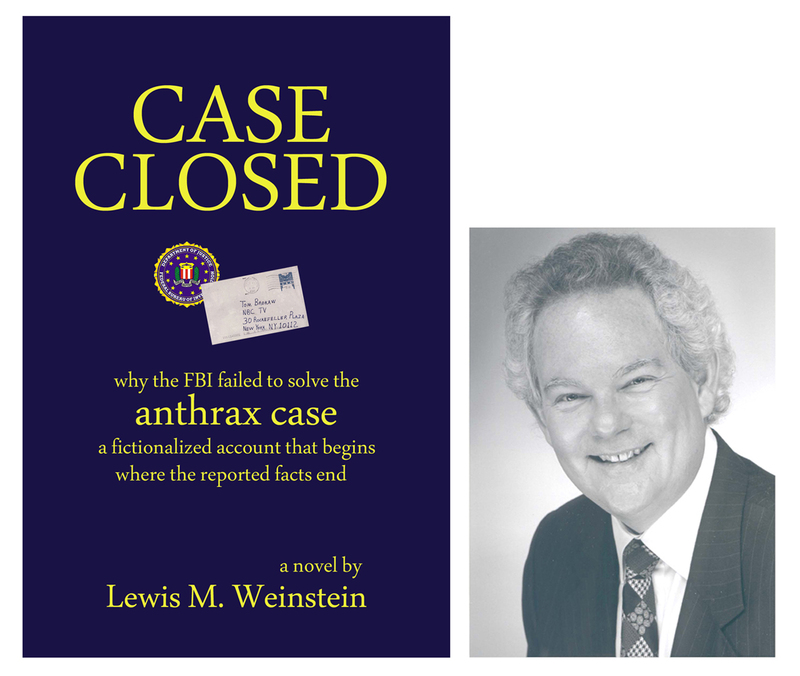 « CASE CLOSED … what really happened in the 2001 anthrax attacks? « * Will it take Congressional subpoena power to fill in the blanks in the email asking about weaponized anthrax that came to Detrick and then was shipped out and some was missing? * is there no way to hold JAG or someone else responsible for what appears to be a purposeful withholding of information related to the FBI’s bogus investigation of the 2001 anthrax attacks? It is JAG that appears responsible for the withholding of documents for two years. If all remaining documents are not produced this week, Congress should call a JAG witness to explain why they delayed production for two years and who made the decision at JAG to delay production of the documents. A federal judge likely would sanction the JAG attorneys in a civil litigation context. The practice of law should never involve hide-the-ball. Taxpayers are paying the JAG salaries. The lawyer responsible for withholding the documents works for taxpayers. This whole affair is a disgrace. The FBI’s case against Dr. Ivins is clearly bogus: no evidence, no witnesses, an impossible timeline, science that proves innocence instead of guilt. So what really happened? And why? The “fictional” scenario in my novel CASE CLOSED has been judged by many readers, including a highly respected official in the U.S. Intelligence Community, as perhaps more plausible than the FBI’s unproven assertions. This entry was posted on October 4, 2010 at 1:47 pm	and is filed under Uncategorized. Tagged: ** CASE CLOSED by Lew Weinstein, ** NAS anthrax study, *** FBI anthrax investigation, Fort Detrick, JAG, USAMRIID. You can follow any responses to this entry through the RSS 2.0 feed. You can skip to the end and leave a response. Pinging is currently not allowed. As I recall, JAG’s role in redacting/withholding was overcome by its providing the 300 emails in a final batch. They were of an innocuous workplace joke nature and JAG apparently had just wanted to pretty things up a bit. IMO, JAG made it right, though, by producing those documents rather than incur the wrath of Lew. I don’t blame USAMRIID for anything up until February 2010 because they were under the thumb of DOJ and FBI in an investigation that had not yet been officially closed. A USAMRC FOIA official is subordinate to the DOJ and FBI in an investigation — or at least that was the position of the USAMRC FOIA official. But given JAG’s role, they could play a role in understanding the withholding of substantive documents by DOJ and FBI. For example, maybe some JAG attorney, an officer of the court, could figure out why USAMRIID did not have this email uploaded below to produce. I had to go to DOJ for it — asking for the specifically identified email that I knew had been culled from production. And, GAO, there were lots more. You can identify those withheld, if John at USMRC or JAG is not helpful, by finding the gaps in the sequential numbering when displayed in this format of the culled email below. — My dental hygienist to my wife. Dr. Ivins’ brother Charles told me the anecdote from a cruise they went on. He says that he was urging that Bruce go parasailing with them and Bruce said that someone had to be holding the camera when the line snapped. Leaving the cruise, Bruce said that he just saw some shark floss their teeth. But no one would have been able to maintain their sense of humor if their employer treated them as USAMRIID treated Dr. Ivins — preventing his lawyers from interviewing Dr. Ivins’ friends and co-workers. I have not been in the laboratory since November 1, so I couldn’t go through over 300 select agents (some in multiple containers). The FBI left the sheet of what was taken at my desk. came in and seized the sheet, not leaving me a copy, took it forward to Headquarters, who gave it to the JAG. The JAG refuses to show me what of mine was taken. I spoke to the Jag Office and they gave some guidance in resolving the inventory discrepancies. Please provide a listing on memorandum of all of the materials that cannot be accounted for at this time and we will send it forward to the attorney general and ask them to concur that they took these materials to the best of our ability. I have asked JAG and they have no records of what was taken this is our last recourse. At the time of the search I asked that all researchers in the searched areas conduct a 100% inventory of their stocks and immediately write off discrepancies as “seized” do you have any idea why this was not done at the time. Or was this done and these are really new losses? Thank you very much,	. My attorneys have no interest in anything proprietary or classified. They want to ask questions of my coworkers about me. I have given both my attorneys and coworkers complete permission to talk about me freely. Hopefully, the “farther-up place” in the Pentagon will give a positive response. Thanks again for all of your help. I wanted to meet with you today to find out if there has been any progress with respect to my attorneys wishing to speak to my coworkers about me. It has been several weeks since the official request was made, and neither my attorneys nor I have heard anything. The Army should understand that my attorneys have no desire to talk about anything that is proprietary (such as specific experiments with drugs, vaccines, or detection devices), nor do they wish to delve into any classified information. They specifically wish to interview my coworkers about me, and I have given my coworkers and my attorneys my specific permission to discuss me both professionally and personally. I hope that this information can be forwarded to the JAG and to whomever else needs to see it. 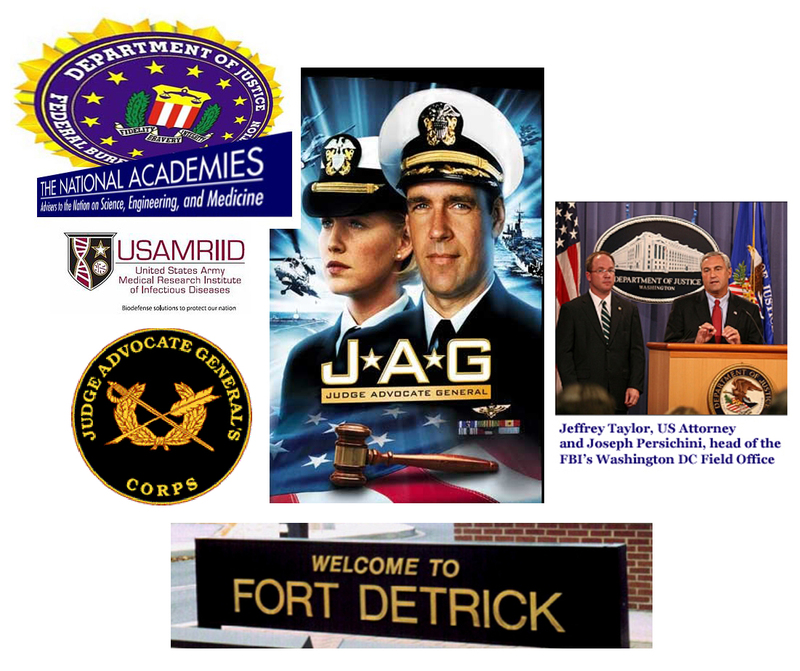 If the Ft. Detrick JAG has not received a response from those that they sent the request to, I would hope that they could give to us the appropriate names so that my attorneys can soon begin interviewing my coworkers. Again, let me emphasize that my attorneys have no desire to delve into any proprietary or classified information. Thank you very much. As you know, on November 1, 2007, select agent material was removed from my inventory (and possibly other investigators’ inventories)in	(and possibly	. My laboratory	has a PIN required for entry and the refrigerator where my working stocks are kept has a key lock, with the key contained in a lock box with a combination on it. Despite these safeguards, material was taken. I don’t know how much was taken from any particular Select Agent number, nor do I know if CDC has been notified of the missing material. Could you please – if you have it – provide me with the information concerning how much material was taken from what select agent samples. Then I can account for any discrepancies. Thank you very much. I need to get my select agents out of my name and into (hopefully) yours no later than the last week in August. Otherwise, they’ll have to go into	collection or(b)(6)	collection. Whenever the inventory is transferred, somebody from my lab will have to go in with somebody from the receiving lab to check to make sure that the inventory is correct. Any discrepancies should be assigned to DOJ/USPS seizure of select agent material from the biocontainment suite area. If you could find out (through(b)(6)	) specifically who above the Detrick JAG is responsible for allowing (or refusing to allow) my coworkers to talk to my attorney, I would appreciate the information. That way, if there is a problem, my attorney can directly contact them to resolve any issues or barriers standing in the way of my coworkers communicating with my attorney. Again, as I said before, my attorneys want to ask questions pertaining to me. If the Department of the Army insists on abridging the First Amendment (Free Speech) rights of its coworkers, then I would certainly like to know how they are able to deny them those rights. Thank you very much for following up on this. I hope that the Department of the Army understands that my attorney doesn’t need to talk to my coworkers on post, and that he doesn’t wish to ask them about anything proprietary or classified. He would like to get their opinions as they pertain to me – how long they’ve known me, what they know about me from working around me, etc. I hope this can be made clear to the JAG and to the Department of the Army. I just talked to	. This request requires approval at a higher (DA) level. forwarded the request about 2 weeks ago and he will follow-up. I no longer go into laboratory areas. Hence, I don’t need respiratory protection. Thank you very much. Before you destroy any particular strain (not just batch), please check with the RO. I realize that some lots and batches of strains are better (cleaner, less clumped, more refractile, etc.) than others, so you could probably use the occasion to get rid of some of the junkier batches. First check with ..please! I was told by	several years ago, that we should not completely destroy 100% of any batch of spores made. Perhaps the JAG needs to check with DOJ on this, but you don’t want to wind up with the DOJ saying, “You did WHAT?!!!!!!! !” after autoclaving several batches of spores. I spoke with the Federal Public Defender. They have your affadavit, and will submit it. He wanted to know if I could continue as your appointed counsel. I will put in a request to do so, and Venable would have to approve it. JAG. Thank you very much for your help. Would the DOJ have attempted to obtain an indictment knowing that had the case gone to court, Ivins would have been aquitted? Sounds like a risky strategy to me. The more likely scenario is that DOJ/FBI knew they didn’t have a case. When Ivins was dead, they made him the fall guy. How very convenient! And now they don’t care what we say. They never have to respond. They never have to make a credible case. Everyone (except Congressman Holt) who made a stink before is now mute. So the questions I asked when I wrote CASE CLOSED in 2008 still sit there. Unanswered. Did the FBI fail to solve the case? Did they solve it but are covering up to keep the truth from being known? Which is worse? They are going to have to make a credible case. It will not be “case closed” until they do so. Rush Holt’s call for further investigation (note the recent GAO announcment) is getting traction from somewhere. And now the GAO is getting involved, well, it’s not just us loonies anymore! as subject matter, attendees, etc.) would be very much appreciated. Thanks loads! waiting for confirmation from (FBI). Please hold your calendars for this time slot. mentioned from the FBI were . This date was also Good Friday that year. sometime else. Thanks for all your informational help! What I can dig up is only spotty. If I have anything it is in my old mail archives that I was able to access on computer. The last time I tried, it didn’t work. back to you in the next week or so. It doesn’t ring a bell, but it has been a while. That would be great Bugmaster, if you could go and give a detailed report back. The local journalist likely will write up but the school is expressly prohibited by contract from taping or videotaping it. You could even ask specifically what she knows that we don’t. Ancient Rosslyn awaits. We are who we protect. Maybe good old Ed can fire up his cool car, head down to Manitowac, grab the ferry to Ludington, and drive up to Petosky to join me! Yes, and then Ed can tell Dina Temple-Raston that’s she part of the conspiracy theorist lunatic fringe for classifying the anthrax investigation as a “controversy” and a “current challenge” for the FBI. Ed is what you call a “true Believer”. He truly believes he knows everything. I see Ed is desperately trying to spin on his website that Dina Temple-Raston has written she has “no problem” believing Bruce Ivins was the anthrax killer. As usual, a pack of lies. NPR’s Dina Temple-Raston has been following this story, and she’s here now. Dina, scientists and legal experts, they’re saying that the evidence against Ivins is really far from foolproof, that there is no smoking gun. What are they concerned about? DINA TEMPLE-RASTON: Well, a lot of the scientists who have looked at this say that they couldn’t – that the FBI couldn’t possibly have ruled out everyone who might have matched the anthrax vial or had access to the anthrax vial that they matched to Ivins. And this is basically, without getting too much into the science, this is because anthrax, all you have to do is grow more. So if you had some anthrax, conceivably, from this vial that they linked to Ivins, you could have grown your own source of more of that. They also can’t place him in Princeton, which is where the letters were mailed from, and he has this very distinctive, cramped handwriting that they couldn’t match the handwriting on the envelopes. The FBI said it was similar, but there was nothing conclusive there. And there’s this broader feeling that he couldn’t have possibly accomplished all of this on his own. The plan was too elaborate and too technical for one person to do by themselves. Government investigators tell NPR that they were still several major legal steps away from indicting army researcher Dr. Bruce Ivins for the 2001 anthrax attacks when he killed himself this past week. While they had written up the case and told officials at the Department of Justice they were prepared to go forward, the department had not yet approved the case. What is more, the evidence against Ivins had not yet been presented in its entirety to a grand jury and jurors had not yet been asked to vote on an indictment. That process could have taken weeks. National Public Radio’s FBI correspondent, Dina Temple-Raston, will speak this month at North Central Michigan College as part of the college’s lecture series. Temple-Raston’s presentation, “Current Challenges for the FBI,” will address recent controversies including national security letters and the anthrax investigations of 2001. Her talk will also include current developments and concerns about civil liberties in relation to the FBI and its investigations. Temple-Raston has been an FBI correspondent for National Public Radio since 2007. The anthrax investigation is a “controversy”? But according to Ed Lake the case has been solved and is now completely uncontroversial. I’ll be in that neck of the woods then. professionals, politicians, and intelligence and military personnel. to 1972, he worked with the US offensive biological weapons program. Biological Warfare Laboratories for the last 7 years of the program. and Programs Officer until 1984, reporting directly to the commander. position he held until his retirement in 1986. Citation and the Order of Military Medical Merit.